Stefan Glasauer, one of MSNE’s most iconic Professors, will take some distance from the program at the end of this semester as he is starting a new research group at the TU Cottbus. Fortunately for future generations of MSNE students, Prof. Glasauer will still visit us in Munich from time to time to give his beloved lectures. 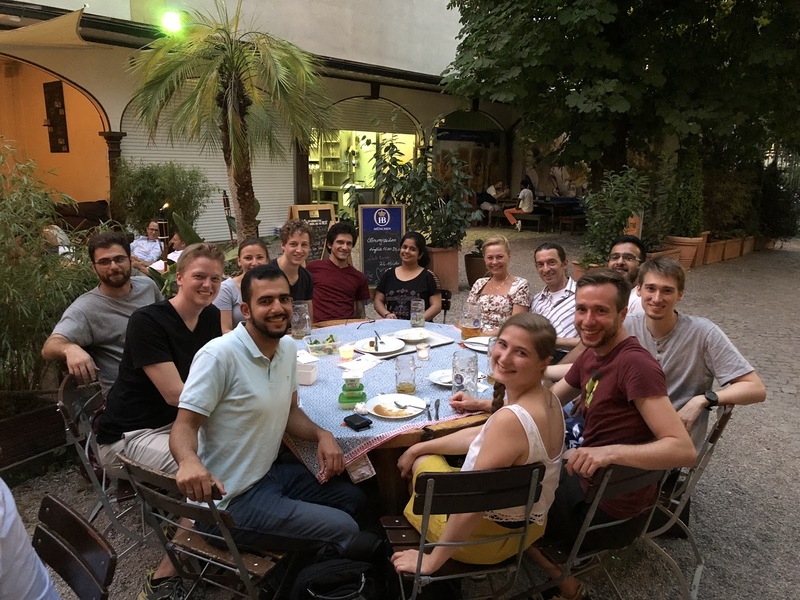 We did not want to let him go without a proper farewell, so on Monday the 6th of August many of us students gathered with him in the Hofbräukeller Biergarten to have dinner together. It was a perfect Summer evening where we spent a wonderful time outside the classroom. In this opportunity we thanked him and his PhD student and teaching assistant Alex Knorr for everything they did for the program and its students. Of course, he was presented with our already classic MSNE hoodie as a token of gratitude. We wish him the very best in his future endeavors!